Tom Parish was born with a heart condition and not expected to live to adulthood. But in 1959, historic advances in medicine gave him the opportunity to have a healthily beating heart. Yet, in the five years he struggled to live prior to that life-changing surgery, he developed a skill that would carry him farther than he could imagine: mastering the art of adaptability like his life depended on it. In 1968 the landmark science-fiction film 2001: A Space Odyssey premiered. Tom attributes his curiosity about and penchant for artificial intelligence and advanced technologies to this movie. It was also the impetus for him to attend Texas A&M University and study electrical engineering. 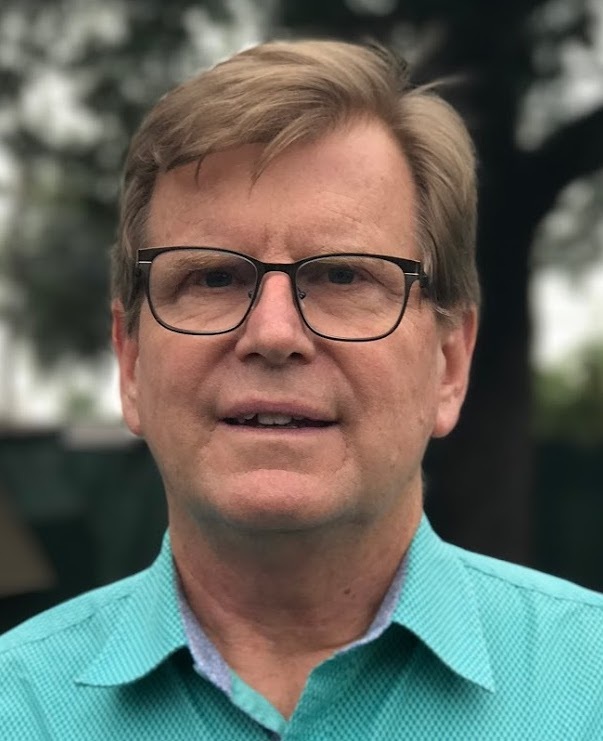 His first job out of college was with Honeywell, where he integrated his passion for technology with encouraging adaptability in others by persuading chemical plants and refineries to change from analog control to digital process control. While keeping current with changes in technology, Tom read a ground-breaking cover story in Time magazine about the “Fifth-Generation Japanese Computer Threat.” The story inspired him to research companies in the U.S. which might be doing similar work. He found Symbolics, a cutting-edge artificial intelligence company which became the first business to have an official domain name on the Internet. Tom reached out to them, and before too long became their number one salesman of programming and multi-tasking systems. From Symbolics, Tom moved on to work with a research consortium, Microelectronics and Computer Technology Corp. (MCC), where he served as a marketing manager for emerging technology. During his time with MCC he wrote a paper on “The Future of Holographic Storage” that was published in Popular Science. Tom next continued his career with Motorola Semiconductor, where he became involved with the mingled evolution of the Internet and technology. He specifically worked in collaboration with teams in India, Ukraine, Croatia, and China to develop new marketing strategies using the Internet and media to bridge the gap between the technical community and the user base. My have we learned so much over the last 20 years in this area. His interest in using technology to connect to target audiences via broadcast led Tom to produce some 1300 podcasts, with millions of downloads, for Motorola, BMC Software, AVICAL, TaoOfColor.com, MixingLight.com, and his own businesses. Through this he has had the opportunity to interview a vast array of management and creative personnel from some of the top-performing tech and design companies. Tom was also a professional colorist, applying his artistic drive to the process of grading dozens of full-length movies, documentaries, web shorts, and advertisements for businesses globally. His mantra was and still is to encourage everyone to think and feel and grow their awareness of color from story creation through post-production and distribution. He applies the same mantra to any business: become aware, be curious, adapt, move forward. Tom most recent engagement was VP of Marketing at Concepture.com to bring the Bildr no-code software development environment to market. In this position, he is able to fully call upon his many skills: networking, cloud computing, telecommunications, enterprise software, mobile technology, customer relationship management, social media, and multi-media production. Over the span of his careers, Tom has organically fashioned himself into a facilitator of conversations around technology applications and the problems of the times. After a robust technology career, the conversation nearest his heart is addressing how best to educate young people on the skill of adaptability in the workplace — the same skill he developed from birth which has contributed to his value as an employee and an entrepreneur. By bearing witness to emerging technology, global economies, and their unprecedented whims, Tom seeks to give voice and visibility to this pivotal dialogue about adaptability through his work as a writer and public speaker. Tom is a percussionist since the age of 5 (dad taught me), a budding accordion player lover of movies and an FCC licensed radio operator – KB5RF – Licensed Extra Class, second-degree black belt in Aikido and trained facilitator in shadowwork processes for individuals and groups. Most importantly, a family man with 5 grown children and 7 grandchildren and a wonderful wife Donna Lipman.